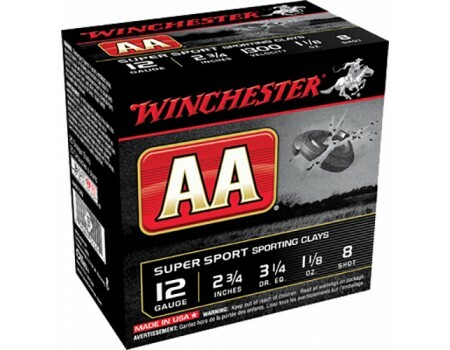 Winchester AA Lead Shotgun Shells for Hunting/Target. 12 Gauge, 2.75", 1 1/8 oz. Case price, 10 Boxes with 25 Shells/Box, 250 Shells Total. AA has been recognized as one of the finest quality target shotshells ever developed, continuing the Winchester tradition of legendary excellence with unparalleled target-breaking performance that revolutionized the target shooting and reloading industry. AA wads specially designed to reduce felt-recoil and improve pattern performance, high-strength hull reliable performance and excellent reloadability with tighter patterns.